Adopting artificial intelligence (AI) technologies is the top initiative for 61% of IT leaders. 1 Many of them are focused on investing in solutions like machine learning (ML) and deep learning (DL), two AI techniques that require massive stores of data and are extremely compute intensive. 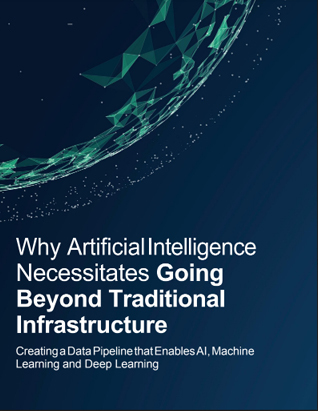 This rapid, impending adoption presents server and storage infrastructure with never-before-seen performance demands and leads many decision makers to ask, “Is today’s infrastructure enough?